Are immigrants an important part of our American identity? 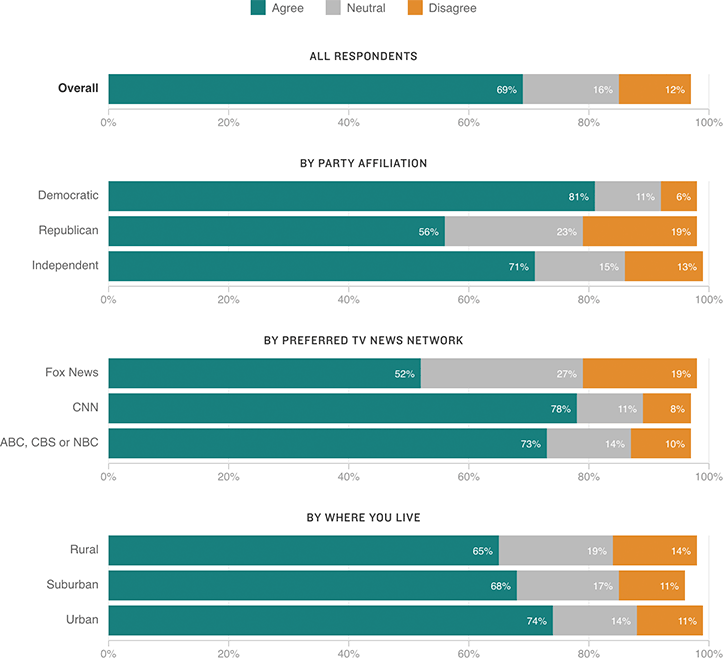 When asked this, most respondents said “yes.” But divisions become clear along political party lines, media-viewing habits and geographic location. Note: * “Don’t know” responses not shown. Source: NPR/Ipsos poll of 1,071 U.S. adults conducted June 19-20. Interviews were conducted online in English and in Spanish. The poll has a credibility interval of +/- 3.4 percentage points for all respondents, +/- 5.8 percentage points for Democrats, +/- 6.1 percentage points for Republicans and +/- 8.1 percentage points for independents.